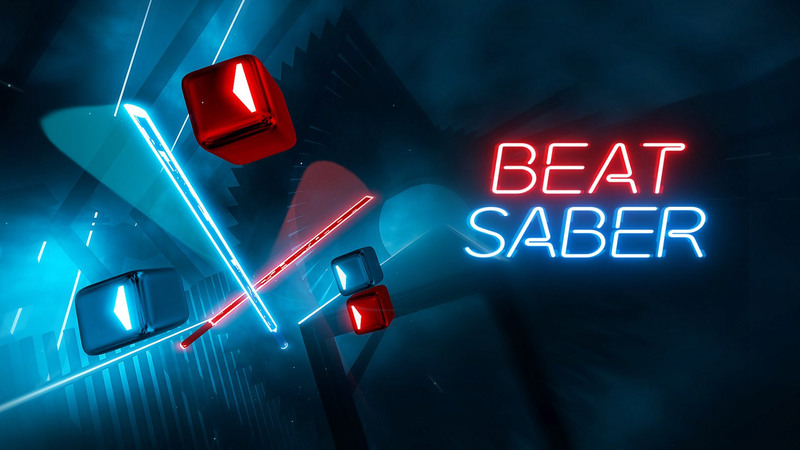 The immensely popular block-slashing rhythm game Beat Saber (2018) reigns supreme once again as the most downloaded PSVR last month. 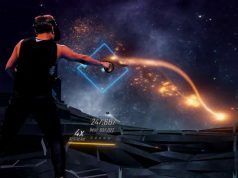 Having released on PSVR in November 2018, Beat Saber has gone on to nab the number one spot not only in January and February of this year, but also taking the spot for second most downloaded game of 2018 within only a few weeks of launching on the platform, coming in behind PSVR’s regular champion Job Simulator (2016). Beat Games’ continued release of free tracks for Beat Saber and its recently released DLC song pack, Monstercat Music Pack Vol. 1, probably hasn’t hurt its position as the top downloaded PSVR game last month; even with its bog standard set of tracks, it’s proven to be a great example of ‘easy to pick up, hard to master’. You’ll see many of the same fan favorites below, although it’s interesting to note that the once hotly-awaited Borderlands 2 VR (2018) has nearly fallen off the charts entirely, slipping from the number 8 spot last month to number 10. The VR port of the extremely popular shooter Borderlands 2 (2012) launched in December of 2018, and is only available as a digital download from the PlayStation Store. Astro Bot has also notably slipped down the chart, going from spot number seven in February to number 9 in March. Unlike Borderlands 2 VR though, which came as a game voucher alongside Beat Saber in a PSVR hardware bundle, Astro Bot was sold as a physical disc in its hardware bundle, which came with a voucher for Moss (2018). Keep in mind that the list above only accounts for digital downloads, however it does give us a general idea of how well games are doing overall month to month. I’m stuck in Astro Bot level where are these rolling drums, you run and jump on the next rolling drum higher. Man, I cant pass it and that’s like only half a game :( I haven’t touched the game for over a month now. I could pay someone to come and pass that damb level. Probably a silly question, but have you watched a YouTube video of how to beat it? I usually find watching someone else accomplish a feat makes it much easier to understand how to do it myself. I really don’t get the hype about this game. My wife enjoyed it, but it’s just a basic game. Whatever gets people to VR I guess. It *is* a basic game; that’s the hook. It’s SO simple to immediately dive in with minimal instruction. Block fly at you. Hit the block with the corresponding lightsaber and do it to the beat. 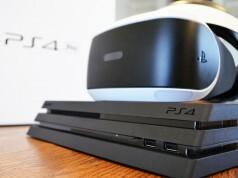 But, it also it’s incredibly suited for VR introductions. Stationary avatar position. Incoming blocks really nail the virtual “depth of field”. Great songs get you hyped. This is my actually exercise routine for an hour every morning. Tetris is a basic game. There are world championships. Tennis is a basic game. Football is a basic game. Formula 1 is a basic game. It’s cars driving in a circle. It doesn’t have complicated rules. That’s why people like watching it. What difficulty did you try it on? I didn’t find it that involving until Expert. 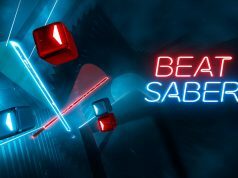 Beat Saber is made by greedy Czechs. They charge 29 USD for simple game and never made a cent of discount. They blocked mods with music. They sell extra music. Fck them. I am not charging 19-29 USD for ping pong/tetris game for 8 year olds. Still, the new Tetris VR game costs 50$. The cost of a game is a calculation of development costs, market projections and demand. It’s not to make the game as cheap as possible, but to make the most money possible. It is a business after all, not a charity. On PC Beat Saber there is still some level of support for mods though. I wouldn’t expect this for PS4 anytime soon due to Sony. Either way, I believe it’s officially the most successful VR game now, the cost is clearly not an issue for most people. I wrote about them, you idiot. So stop projecting that on me. But YOU are the one who is greedy, not them. If a game is selling immensely well there’s no reason to discount, people clearly like the price point of the game or it wouldn’t be selling. They didn’t block mods on Playstation, Sony blocks mods. Wow they sell music, almost like they had to put actual effort into them and pay licensing fees, they also release free tracks now and then too. Idiot. Invent your own VR game! I throw every cent at them for making VR this beautiful again – and to make up for greedy douches like you. You are an idiot. Simple game, would say even idiotic. Not worth more than 8 USD. Look what they do. Blocked mods, sell DLC with someones music. Yeah and you are genius, right? You are just bitter because you didnt invented the most succesfull VR game. Whining and pure envy instead of enjoying what they have brought to the VR scene. Greedy Czechs? You are a sad idiot. I guess you work there. They blocked user mods. Greedy bastards. Look at Steam comments how much people love this crap. Now, shut up. Blocking you and your spam. Beat Games didn’t block the mods. Mods are still working. …job simulator is second… what does that tell you guys? …do I really need to remind you of your hilarious comment about how Beat Saber is going to flop. Flop! HAHAHAHA! Heh. Oh well, never mind. It is going to fail theyre just hyping it right now. plus again when the second best game is JOB SIMULATOR you dont really have that much competition do ya?